After you’ve blogged for a while, or even before you begin blogging, you may struggle with what you should blog about. If you have to create a few posts every week, your well of ideas may end up dry. • Write about a topic you know. Celebrate the Small Things created by Vik Lit (Friday). • Create your own special features to fit your personality, such as Weird Word Wednesday, Friday Funnies, etc. If you have a theme for certain days, you'll be able to come up with ideas. And it doesn't even have to match the day. 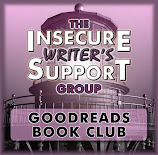 • If you’re a writer, join the Insecure Writer’s Support Group. We post the first Wednesday of every month. • Sign up for the Blogging from A to Z April Challenge. Every April a massive amount of bloggers join this challenge. We blog every day in April, except on Sundays. Each day is assigned a letter of the alphabet. You can have a theme or post random things. • You can try my 30 Day Writing Challenge and blog a prompt once or twice a week. 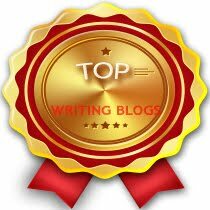 • Sign up for blog hops. When you get to know more bloggers you will come across blog hops in a variety of topics. These are quite fun to do. • Host guests for guest posts. • Host authors for blog tours. Again, when your blogging network grows, you’ll see requests from authors for help with their blog tours. You’ll also be able to ask bloggers if they’d be interested in writing a guest post for your blog. • Share your poetry/short stories. • Write about your childhood/school memories. • Review movies, books, music. • Create profiles on famous individuals. • Answer commonly asked questions about your niche. • Share 20 random facts about yourself. • Update readers on your progress toward a goal. • Talk about your pets. • Tell your readers about your vacations/travels. • Give a history/mythology lesson. • Tell a personal story about a recent holiday. 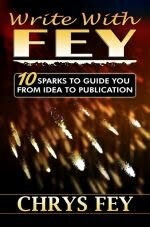 • Ask your readers what they’d like to see you blog about. Alex J. Cavanaugh does movie reviews. Pat Hatt shares funny rhymes every day! Sherry Ellis shares cute stories about her kids. Madeline Mora-Summonte shares quotes for her Motivational Mondays. SHARE more blog ideas so I can add them to this list! Bloggers: What do you enjoy blogging about? Readers: What do you wish more bloggers blogged about? Those are all great ideas. Getting involved in the community will really spur ideas. Getting involved is the best thing to do. I think that's cool though. I blog about specific topics, so I don't get to have that freedom. Except I'm trying to change that with my Wednesday posts. I'm never short of blog post ideas. Problem is to find the time to write them all. By the way, 30 Seconds looks cool. Great tips! I'm often struggling to come up with blog post ideas, but I do try to keep a list of topic ideas when they pop into my head. Even if I don't want to work on it right away, it's important to not let those ideas slip away. I occasionally come up with great ideas to blog about...then forget to write them down. :( My problem is the shock that after all this time people still read my occasional ramblings. LOL! You're one of a kind, Pat! You make it look easy. Ideas (or lack thereof) are not really my problem. It's the self-imposed set of rules behind the posts (five days a week, uniquely illustrated, maintain a moderate stance, don't get pulled in to politics, respond to all comments, yada yada yada...). Factor that in and it becomes more time consuming and I have as many ideas crumpled on the floor - if not more - than I post! Cherdo...can't live with her, can't...oh, wait a minute. I have to live with her everyday. Rats. Blogging can become time-consuming, but all of those things are important in maintaining a blog. I certainly don't post five days a week. You could post once a week. It;s just that consistency is good for your followers. And you don't have to respond to all comments if it's too much for you. And I liked your Feature Photo Fridays! Wow, Chrys! What a great list. I'm definitely bookmarking this. No matter how clever I fancy myself, there are always those days when I struggle to figure out what to blog about. Thanks! Great, Karen! I hope this list inspires you. I'd like to repost more of the old album reviews I managed to save from my Angelfire site, though my musical taste is pretty dinosaur. 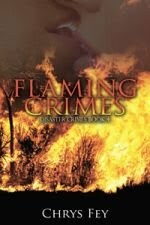 I also still have some book reviews I saved from my Angelfire site. For current content, I'm making my formerly intermittent "A primer on ___________ names" series more regular, and have scheduled Friday posts on Dutch, Czech, and Latvian names, with planned future installments on Armenian, German, Italian, French, Hebrew, Norwegian, and Bulgarian names. They all have to relate in some way to my writing. You're blog is so unique, Carrie-Anne. Keep it up! Awesome very comprehensive list. I'd like to add personalized memes--such as Mid-week reviews or Friday funnies or whatever it is that fits a person's personality/life. I had the occasional dry spell for inspiration until coming up with my own memes. Now there is never enough room in a single post to say it all. great list, Chrys! 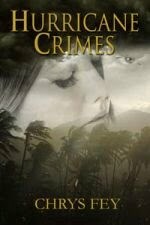 I love blogging about writing and my journey. And though I don't participate in many, I love the memes! I don't participate in memes either, but I like reading the posts my blogging friends do for them. You have interesting blogs. I like following you and what you do. Thanks for the post. Thank you for your support, Larry! Those are great ideas and I've used lots of them. Though my posts are mostly connected to writing, I like including other stuff some of the time. That's great, Susan! I've done a few myself, but would like to experiment with some. Thanks for including me in your list. :) I find having set days for set topics helps me so I'm not scrambling for post ideas. I've found it helps to have recurring themes ( regular free to enter competitions and Wednesday word of the week) to keep the blog focussed. Recurring themes really do help to stay focused. Awesome post ideas, Chrys. Thanks for these. I have done some of them but there many I haven't tried. I get bored of my own writing so that means it's time to spice it up! I will join the IWG. 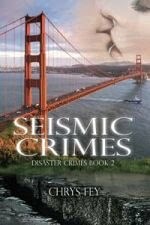 I already wrote a review on Amazon for 30 Seconds :) I really enjoyed the read! Yes, I know, Lisa. And thank you so much for that review. :) I'm just trying to get a few more as the reviews have stalled. You should join IWSG. It's a great place to meet many writers. What a handy list to keep around! Now I'm sure I won't run dry on ideas - though there are a just a couple I'll stay clear of, you've given license (so to speak!) to some I hesitated to use - until now! It seems like all of your blogs are right on target, Chrys and I'm truly grateful for every informative post - thanks! I hope you get many ideas for blog posts from this list, Sage! This is a great list! I used to read over 100 blogs each day. I loved being part of the blogging community. I've slacked off, and I'm just coming back. Sometimes I do struggle with what to blog about. I blogged so much back in the day, I feel like I've said everything already! 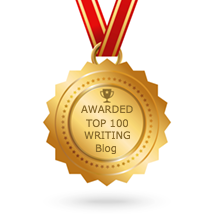 100 blogs every day? Wow! Excellent list! I'll have to come back and steal some ideas. I'd be happy to do a review. I do love a good love story! eseckman(at)ymail(dot)com. That's a very well timed list. My blog has been a bit meh recently, and I'm certainly not posting as much as I was a couple of years ago! These are great ideas. I do Monday Mishmash since it's a mixed bag and convenient for me. I've been doing IWSG for a while. 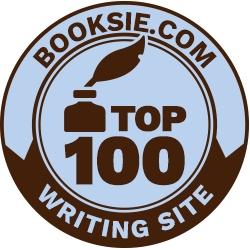 I used to do ROW80, a motivational writing challenge, and What's Up Wednesday. I like all the options out there. There are a lot of options out there when it comes to memes. Everyone can find something to suit their schedule and personality. I promise I'm going to do more blogging this year, but for now, I'd really like to read 30 seconds. Sign me up if it isn't too late. 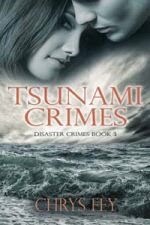 I loved Hurricane Crimes and left a great review for it. Thank you so much for offering, Sandra. 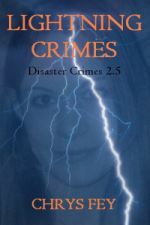 :) I remember your review for Hurricane Crimes. Thanks for that! Wow, lots of great ideas, Chrys. Thanks for sharing them. That's what I love about memes. They serve as writing prompts! These are all great tips. Hopefully they'll inspire some of our favorite bloggers to post more often. These are all great ideas! I've bookmarked this page for future reference. My trick was starting a crazy project and updating people each week on it, but that might be the same as your tip to update people on a goal you're working towards. I think you'd be able to attract a whole new audience if you blogged about homeschooling, Tyrean. I hear many writers complain about the same thing. That's why I created this post and published it after my Blogging 101 post. As a matter of fact, many people commented on that one saying they didn't know what to blog about anymore. Great list, Chrys! I love blogging about all things writerly. When I visit blogs I love reading about other writers and their WIPs or different issues they are struggling with along their journey. I also love it when bloggers give good tips on writing, publishing, marketing, etc.